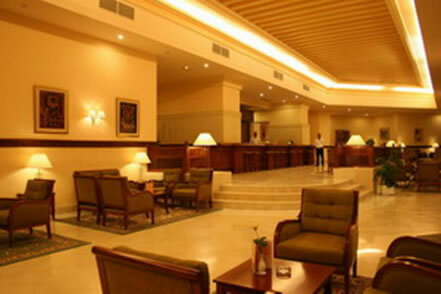 Our clinic has selected for your stay in Tunisia among the best hotels in Tunis. The turquoise bays of Cotes de Carthage extend from the ruins of the ancient city as far as Gammarth, a luxurious new hotel zone that will soon be able to boast its own golf course and casino. Founded by the Phoenicians, then rebuilt by the Romans, the ancient city has left many impressive vestigess drawn up proudly opposite the sea. 2 steps away, the elegant village of Sidi Bou Saïd invites visitors to stroll amongst its houses with their blue wooden balconies and bougainvillaea. Some 15 kilometres away is Tunis, a lively, modern capital with numerous places of interest. 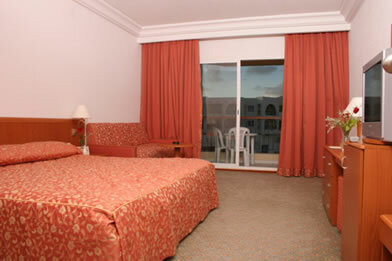 El Mouradi Gammarth has double and triple rooms and suites with garden views. All rooms are air conditioned and have a terrace or balcony with full bathroom, direct-dial telephone, satellite TV, safe and mini bar. 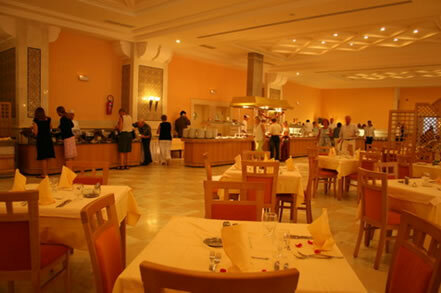 The hotel has buffet and à la carte restaurants, a pizzeria, bar, poolside bar, Moorish café and discotheque. An outdoor pool and covered pool, both with children’s pools. Private beach with sun beds and parasols. The hotel offers a variety of leisure activities: tennis, archery, table tennis, billiards, petanque and darts as well as a variety of water sports. Daytime and evening entertainment programmes. Mini golf and a mini club for children (5-12 years). 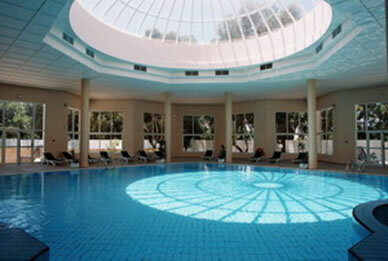 Fitness centre with hammam and sauna and a thalassotherapy centre.